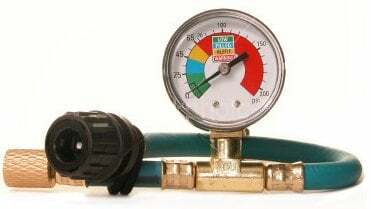 We recommend using the Oil Injector for adding Red Angel A/C Stop Leak or refrigerant oil to the A/C system. Add Red Angel A/C Stop Leak by allowing vacuum to pull it in after the evacuation or push it in using the recharge process. 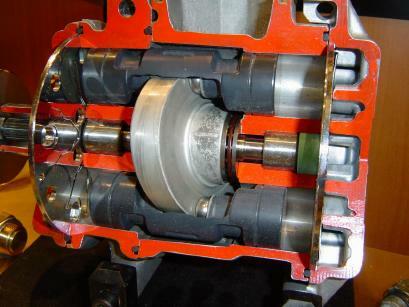 Before adding any additive into the injector, the shut off valve must be off. Unscrew the cylinder to add desired amount of oil, dye, or Red Angel. Reconnect the end of the cylinder (secure tightly). Connect the R-134a coupler to the injector. Connect the other hose of the injector to the low side service port. 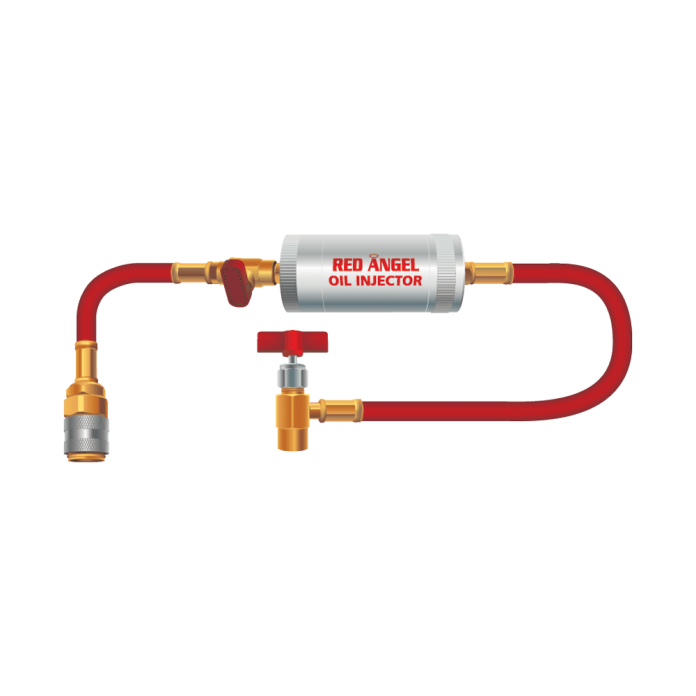 Can the Red Angel Oil Injector be used with R-22 A/C systems? 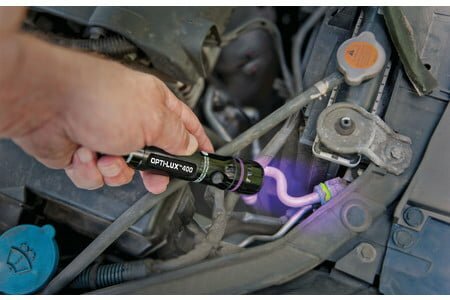 How do you add Red Angel A/C Stop Leak into the injector? The silver cylinder unscrews and the 2 oz. of Red Angel can be poured directly into the cylinder. The shut off valve must be off when adding Red Angel A/C Stop Leak. Can it be used to add dye to an A/C system? Yes. It is great for adding UV leak detection dye.